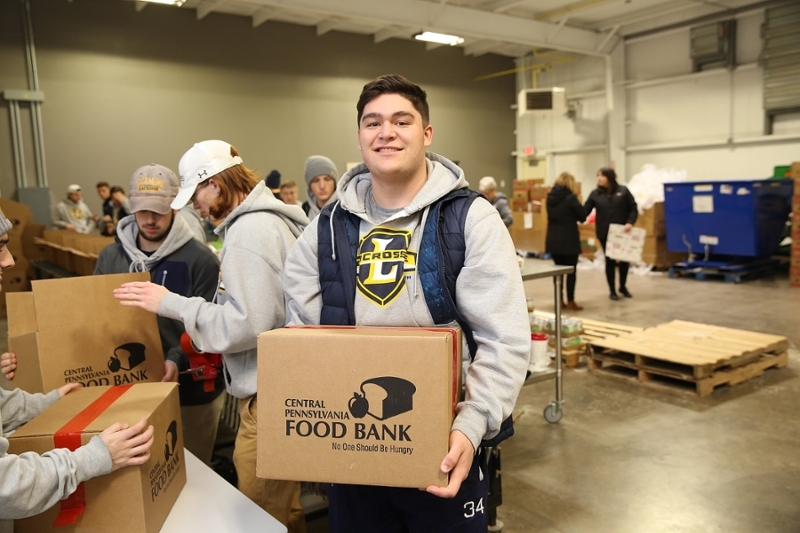 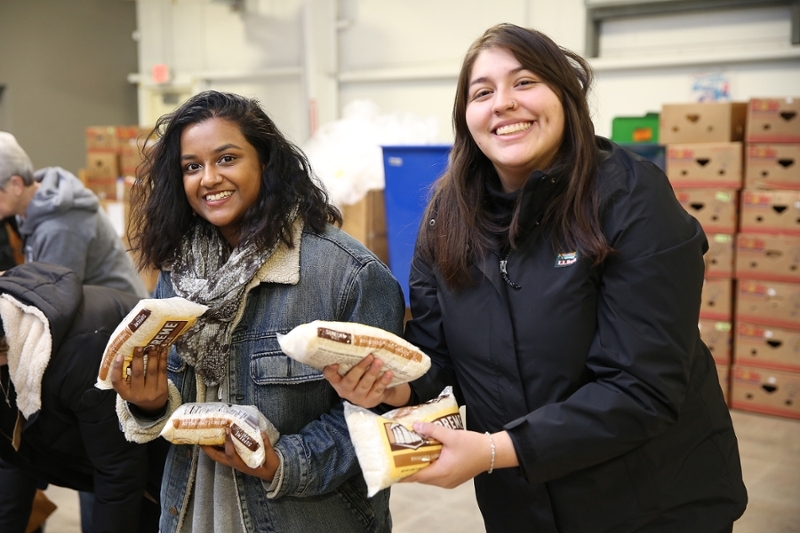 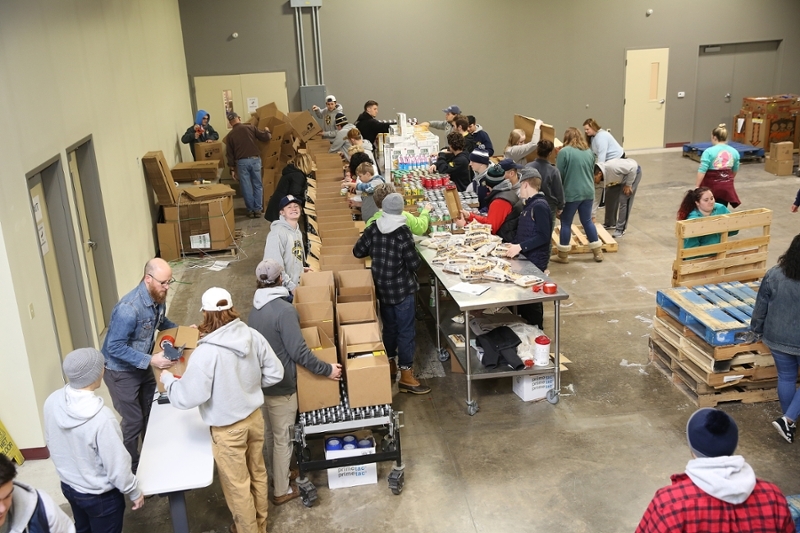 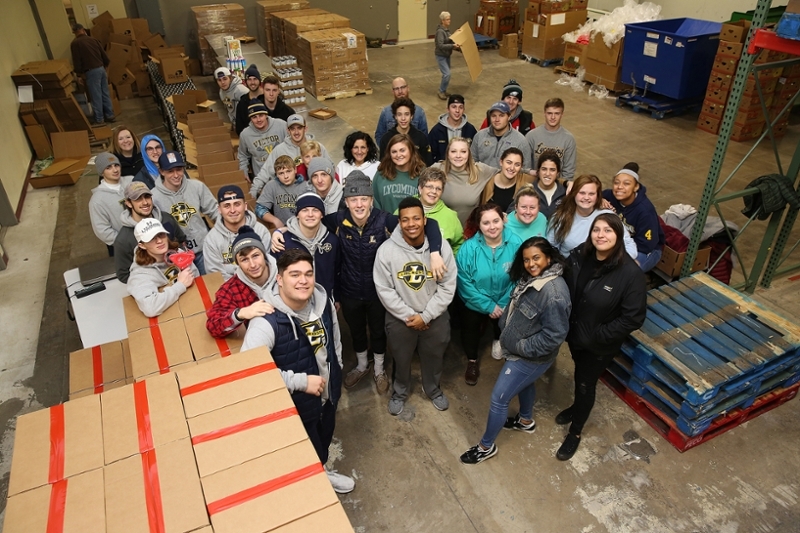 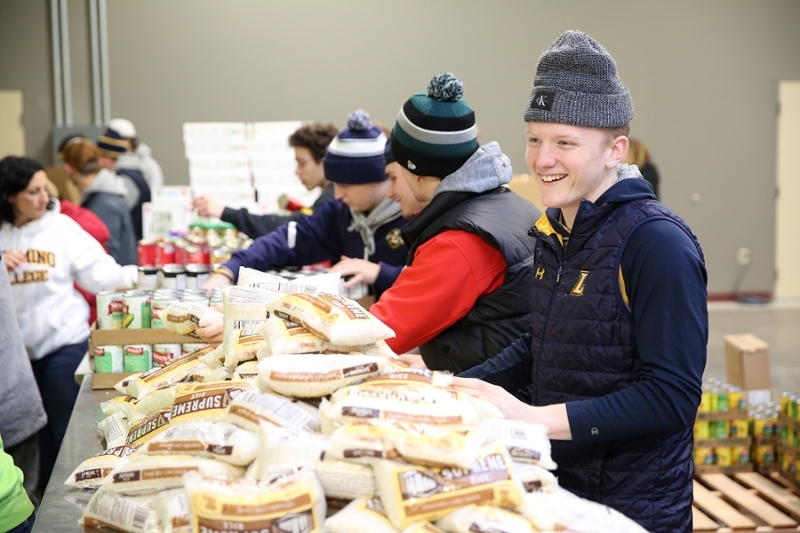 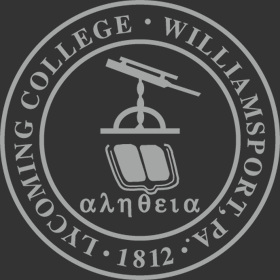 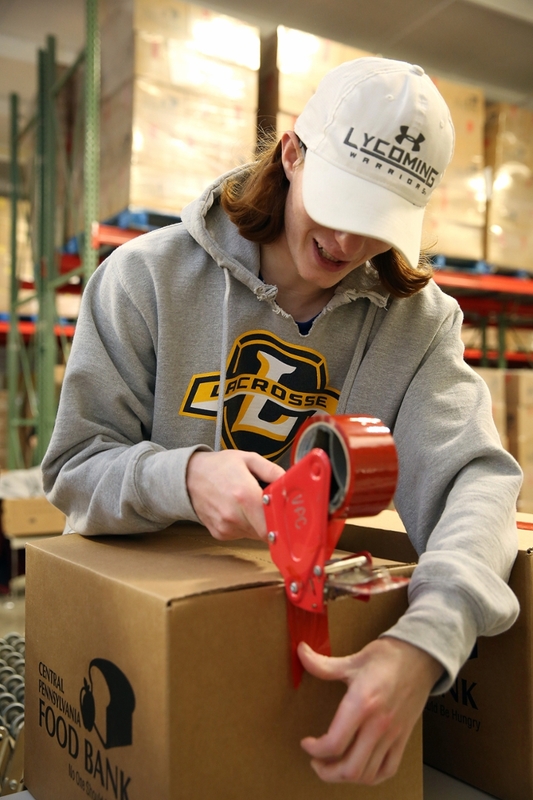 Lycoming College students, faculty, and staff gathered Tuesday evening to volunteer their time at the Central Pennsylvania Food Bank, packaging food to be shipped out to families in the Williamsport area. 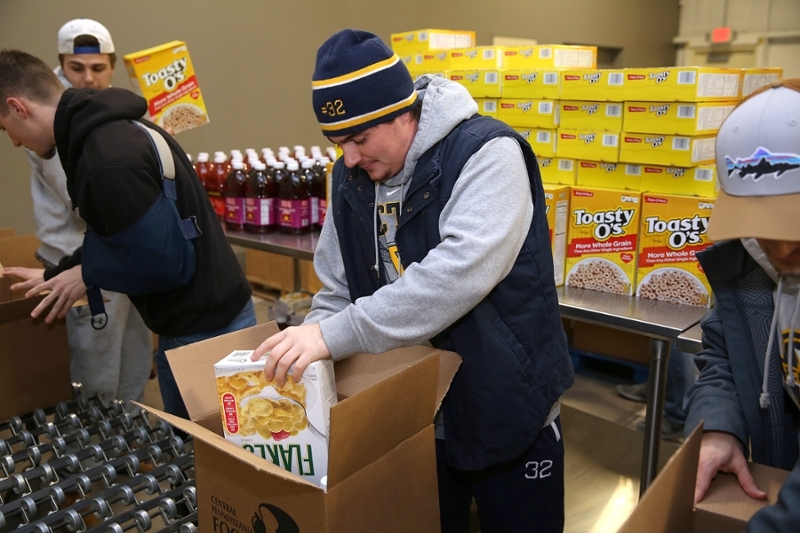 Thirty-seven members of the College community pitched in to prepare 438 boxes of food to help local families through the cold winter days ahead. 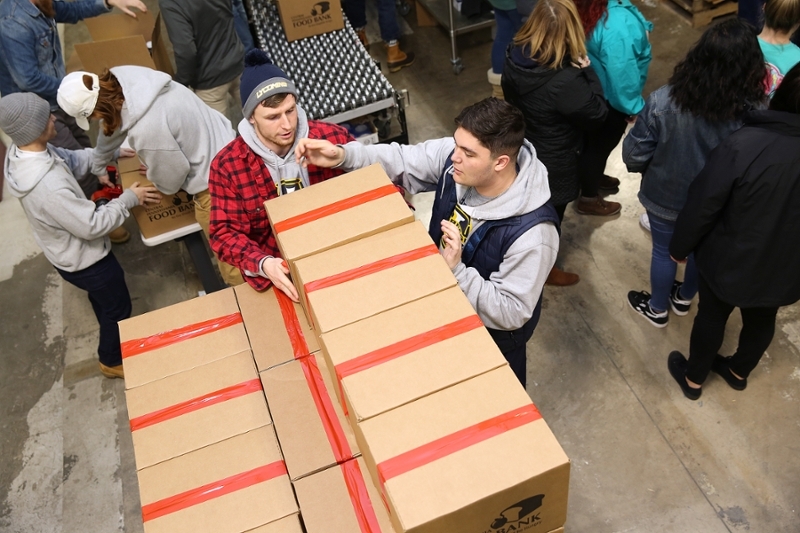 The Central Pennsylvania Food Bank distributes more than 48 million pounds of food and grocery product — more than 40 million meals — every year to more than 900 soup kitchens, shelters, and food pantries in 27 central Pennsylvania counties.